“It’s a MOCkery,” said one survey respondent. 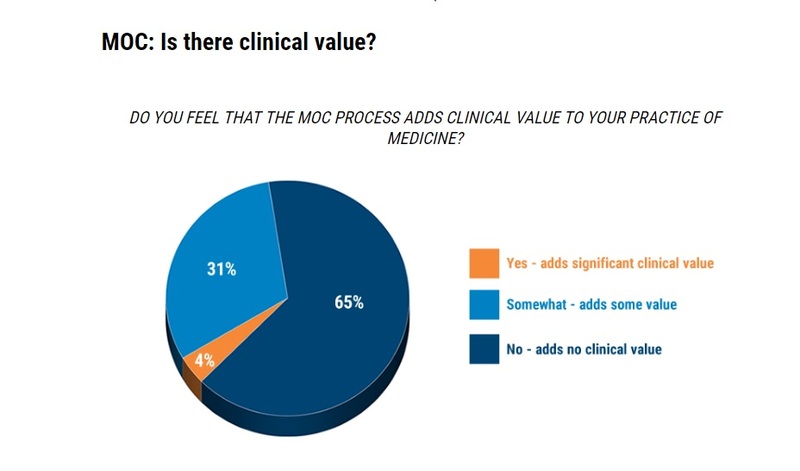 Maintenance of Certification (MOC) adds no clinical value to the practice of medicine, or to patients, say 65 percent of physicians surveyed by MDLinx, a medical news, information, and education website. The August 2018 survey of 515 physicians from a variety of medical specialties revealed that many physicians are frustrated with the mandated MOC requirements that the medical boards promise will help them stay current and active in their practices. Depending on their specialty and state of medical practice, doctors spend thousands of dollars and up to several months of their personal and work time fulfilling MOC requirements.